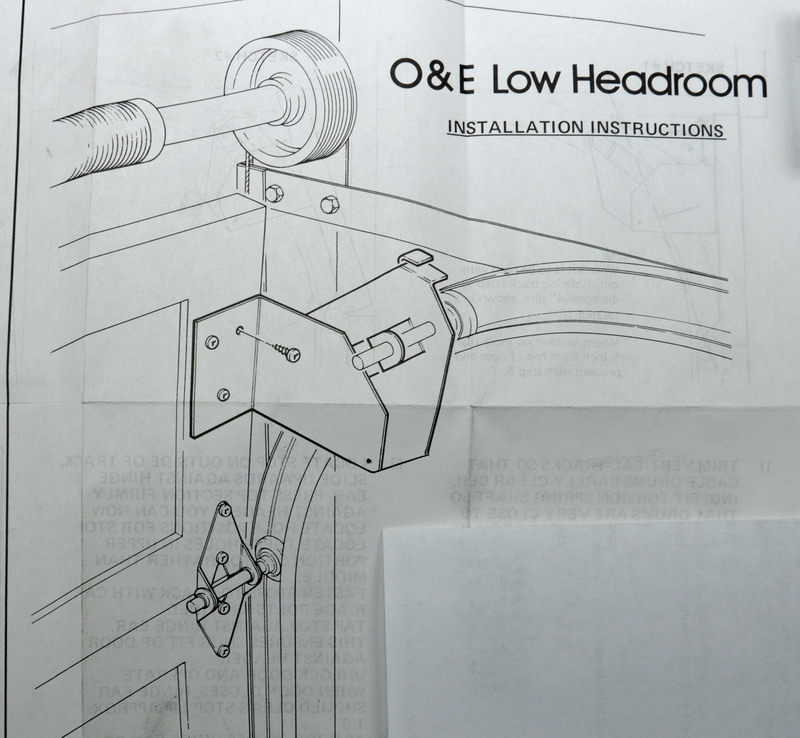 Installing this kit will allow you to fit the door into a lower head room situation. 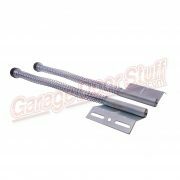 With this kit you can cut the door track down and that will require less head room above the door. This kit will also lower the door when it is in the open position as opposed to using standard top brackets, giving you more room above the door. 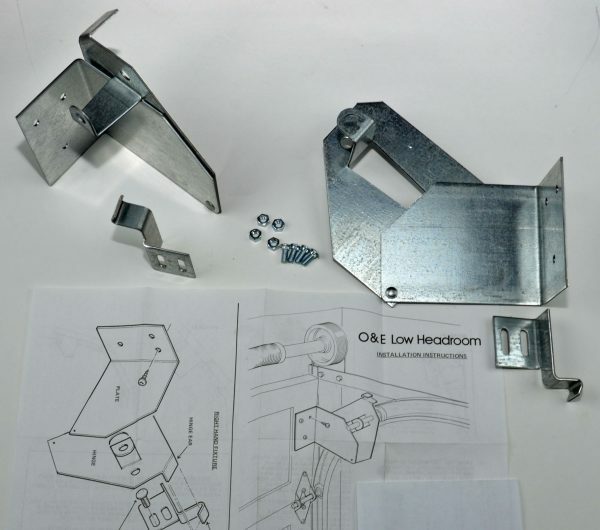 The brackets and hardware in this kit are heavy metal .100 thick galvanize steel. 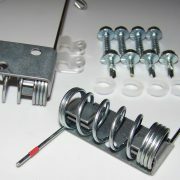 This kit can be used on any residential door up to 8′ tall and light commercial doors to 12′ tall. 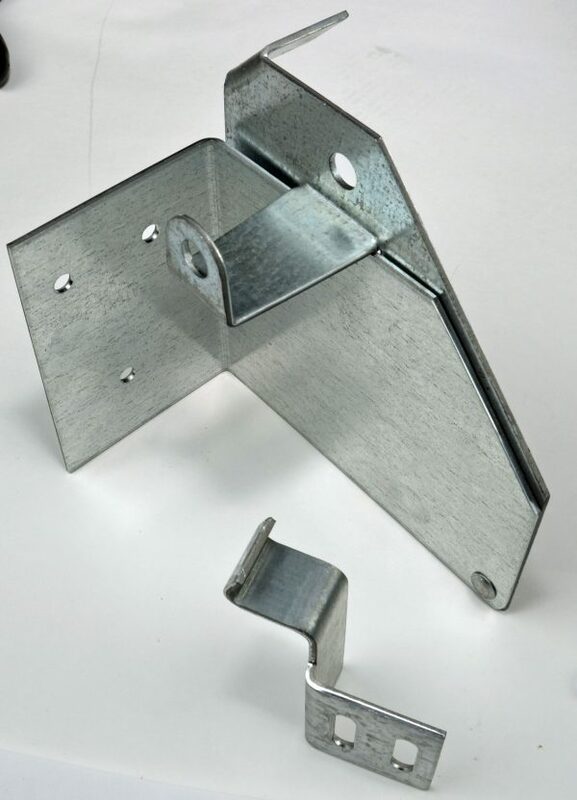 This is the alternative to double low head room track and is a more substantial and robust alternative to quick close top brackets. Click the photo’s in the listing to enlarge. 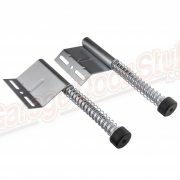 This garage door low clearance kit is a cost effective alternative to the use of double low headroom track with outside hook up. Using the kit keeps things pretty simple. 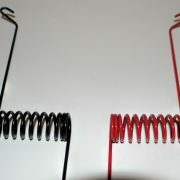 Typically the horizontal track can be cut down several inches using this kit and that lowers the spring assembly. 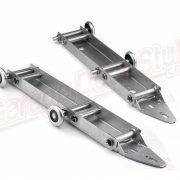 If cutting the tail end off the horizontal radius is not an option, simply cut down the vertical track as needed. 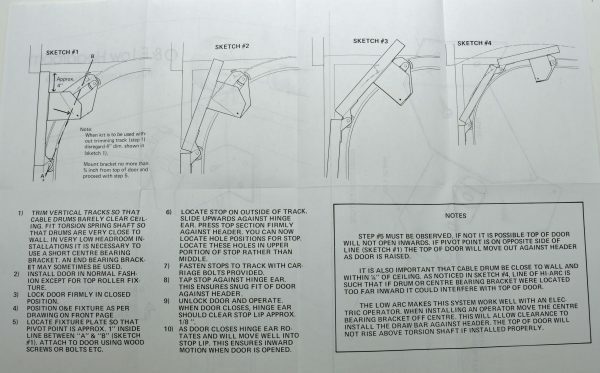 Once the correct / maximum amount of track has been removed and the garage door low clearance kit is installed, the top section of the door will slide back to clear the cable drums as the door opens. Additionally once the door is in the open position, the door will ride and rest much lower and closer to the top of the horizontal track. 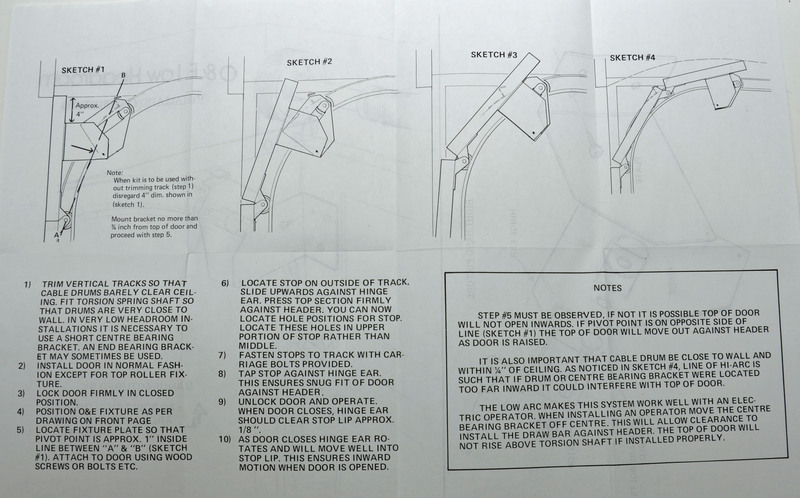 That will increase the amount of room above the door providing additional room for a garage door opener or to clear other obstructions you may encounter. If you have a low clearance situation and are having difficulty determining the correct solution, email us some photo’s with measurements, we can help! We ship six days a week, this item ships FREE, Priority Mail.